Extra Large sized silicone tubing. Clear top grade silicone water tubing. 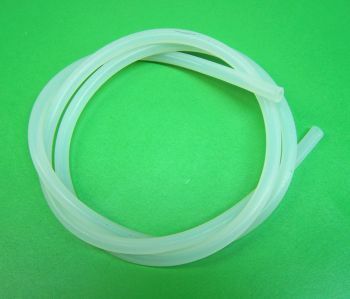 9/32" (7.05mm) outside diameter with 5/32" (3.85mm) inside diameter, high flow silicone tubing. Thick walled to resist kinking, while still remaining incredibly flexible and virtually eliminates any cracking or pinhole problems. 9/32" (7.0mm) Outside Diameter, 5/32" (3.8mm) Inside Diameter. Recommended for rc boats in the 40" range.